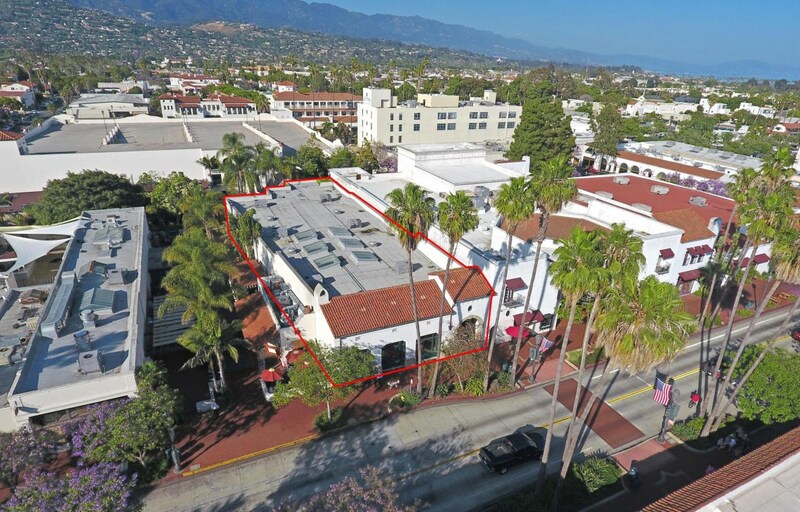 100% NNN leased to Urban Outfitters Inc, this single-story building offers 55' of frontage on State Street in the center of Santa Barbara's retail artery and among a host of businesses targeting the same demographic. Custom built in 1999 with high ceilings, beautiful wood craftsmanship, and a clear-span sales floor filled with natural light, this is one of the area's finest retail buildings. Leased until May 2020 with one 5-year renewal option. 624 State St, Santa Barbara, CA 93101 (MLS# 18-246) is a Commercial property. 624 State St is currently listed for $9,400,000 and was received on January 24, 2018. Want to learn more about 624 State St? Do you have questions about finding other Commercial real estate for sale in East Of State? You can browse all East Of State real estate or contact a Coldwell Banker agent to request more information. Based on information from the Santa Barbara MLS as of 4/24/2019 Display of MLS data is usually deemed reliable but is NOT guaranteed accurate by the MLS. Buyers are responsible for verifying the accuracy of all information and should investigate the data themselves or retain appropriate professionals. Information from sources other than the Listing Agent may have been included in the MLS data. Unless otherwise specified in writing, Broker/Agent has not and will not verify any information obtained from other sources. The Broker/Agent providing the information contained herein may or may not have been the Listing and/or Selling Agent.